The 5G iPhone may not feature Intel hardware, reports claim. Intel won't be supplying next-gen Apple smartphones with Wi-Fi and Bluetooth connectivity, reports have said. 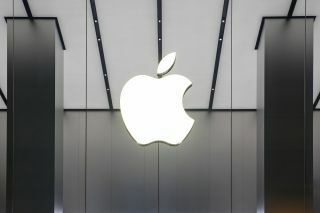 Leaked internal Apple communications sayithe company will no longer use a component called “Sunny Peak”, which includes Wi-Fi and Bluetooth connectivity. This also includes 5G connectivity, which turned out not to be true. Further development of the component has been halted, and the team that was developing it has been ‘redirected to other efforts’. In the moment of writing this article, Apple declined to give any meaningful comment on the matter. Intel, on the other hand, said it will remain dedicated to 5G, and that it will do its best to get back into Apple’s products in the next cycle in 2022. "Intel’s 5G customer engagements and roadmap have not changed for 2018 through 2020. We remain committed to our 5G plans and projects.,” was Intel’s official word. The media are speculating that Intel’s hardware is no longer good enough. According to CalcalisTech, Apple is under increasing pressure to include 5G in its next device, as well as new Wi-Fi standard – 802.11ad. Intel will be looking to improve Sunny Peak and get back into the game in 2022.